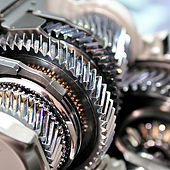 The transmission is one of the most complex components in your vehicle, but it’s easy to spot the signs of problems. You may notice that acceleration is clunky and jumpy, or you begin to notice gear changes in an automatic transmission, or delayed engagement when you put the vehicle in drive. Whether you’re due for a transmission flush, inspection, or repair, our ASE-certified technicians will inspect your transmission and make sure it is road worthy.